Your fiber pix made me so happy this morning! It's all so gorgeous. It still fascinates me that fluff can be turned into such wonderful things! Your spinning is so beautiful. Good luck with the armholes. Blissful knitting! I want some of that! The lace detail though, is really lovely. 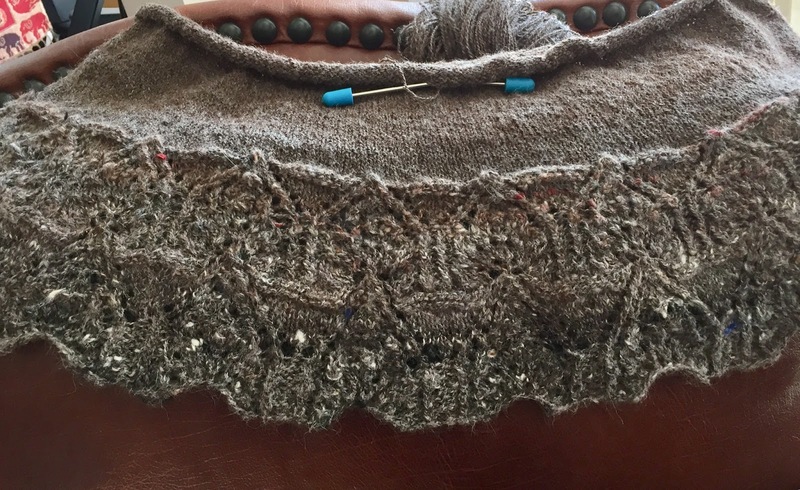 the shawl is beautiful.....and all that handspun loveliness!!! must look up tegna!